The objectives of this project are to assess the riparian areas at the Brookdale Farm, and to provide mitigation recommendations to improve riparian health. Coloured areas indicate riparian areas assessed at Brookdale Farm in 2015 and 2016. Red indicates unhealthy; yellow indicates functioning with problems; green indicates healthy. iparian area 28. Note the fence and large amount of woody vegetation; photo by MB Ag. Riparian area 29. Note the pugs and hummocks in foreground indicating physical alterations to the site; photo by MB Ag. Assessments began in 2015 and will continue until late summer 2017. It is expected that approximately 100 wetlands will be assessed over this time period. Pre-assessment preparations will include mapping of wetland polygons and assigning numbers to each polygon. One wetland may have more than one polygon or number assigned to it if more than one management practice borders the wetland (i.e. both grazing and cropping practices border the same wetland). Data collected included wetland size and location, photographs, information on plant species, abundance and distribution, presence and severity of herbivory or browsing, bare soil, human-caused disturbance and degree of artificial withdrawal of water level. Since Manitoba does not have a workbook for lentic (still water) wetlands, data collection followed the “Riparian Health Assessment for Lakes, Sloughs, and Wetlands - Field Workbook” developed under the Cows and Fish Program in Alberta3. Although the manual is written for Alberta, the authors indicate that it can be used in other jurisdictions with modifications made for vegetation differences. Manitoba does have a workbook for health assessments of streams and small rivers, “Managing the Water’s Edge: Riparian Health Assessment for Streams and Small Rivers”4. Vegetation lists for invasive and disturbance-caused vegetation from this manual are utilized in assessments for the Brookdale Farm. Once all data is collected, a score will be provided for each polygon which will indicate whether the wetland is healthy (proper functioning condition), healthy but with problems (functional at risk) or unhealthy (non-functional). These scores can then be used to concentrate efforts on those wetlands in need of closer attention or remedial action. Assessments will be repeated to monitor impacts of land use practices on the health of wetlands over the next several years. Riparian areas are the part of the landscape directly adjacent to streams, lakes and wetlands that gradually grades from wet to dry (Fig. 1). The vegetation and soils in these areas are strongly influenced by water and are very productive. It can be difficult to determine exact boundaries of these areas but all have the following common features: a combined presence and abundance of water (even when the water body appears dry); presence of hydrophilic plants; and, soils that are often modified by abundant water and diverse vegetation. 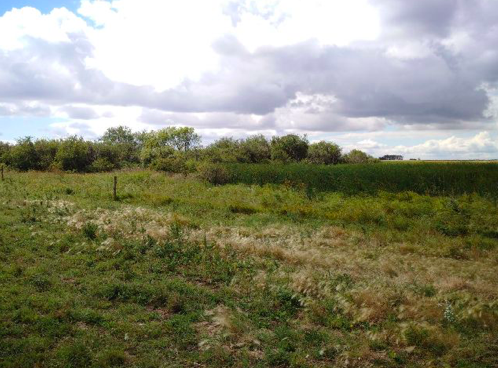 Prior to agricultural crop production, an abundance of natural wetlands occurred on the prairie and parkland ecosystems. It is estimated that up to 70% of wetland loss has occurred in settled areas across Canada with most of this loss attributed to drainage for agricultural production2. Wetlands in agricultural fields pose challenges for producers. However, they still provide many important ecosystem services such as sediment trapping, nutrient and pesticide filtering, shoreline stabilization, water storage, aquifer recharge, carbon storage, and habitat for wildlife. Keeping wetlands intact also provides salinity control. Since wetlands often accumulate salts, draining and cultivating through them can spread the salts over the immediate landscape reducing the soil’s suitability for growing crops. Ecological and agricultural perspectives are often at odds on the topic of wetland conservation and management, however, both systems must coexist on the landscape. Designing a land management system that will allow agriculture production and ecosystem functioning to thrive can be challenging but will result in optimal benefits from both. Understanding riparian health is the first step in identifying concerns and proactively addressing land management issues. The riparian health assessment process incorporates data on a wide range of biological and physical categories. The basic unit of delineation upon which an assessment is made is referred to as a polygon and can be based on vegetation differences, geologic features, land management or other observable characteristics. A survey with a rating scale is then used which is useful for setting management priorities and determining if remedial action or further monitoring of wetland health is required. However, the initial assessment will only provide a first approximation or “benchmark” rating and may not be sufficient to determine the status of site health or indicate the trend of the site (improving, degrading or stable). To monitor the trend and to account for the potential variation of a site, assessments should be repeated in subsequent years, at the same location, at the same time of year.